Moving doesn't have to be a hassle when you call Peterborough's mover-of-choice, Peterborough County Moving Co. in Peterborough, Ontario, for reliable and affordable moving services. Contact us today and let us handle your next office or residential move. 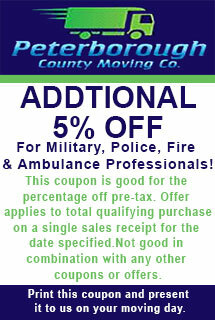 Let our professionals take the stress out of moving! 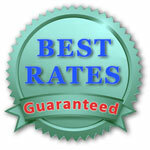 You can count on our fully trained and reliable staff. We are capable of handling any type of home, cottage or office move. We offer flexible scheduling to meet your every need, and we are at your service on evenings and weekends with no pricing premium. As Peterborough's "mover of choice" for hundreds of residents, businesses and charitable groups, we are driven by our reputation for being courteous and efficient. We are fully licensed and insured. Our goal is to continually exceed your service expectations while offering amongst the best pricing in the professional moving industry. References available upon request. Contact us today for more information about our professional moving services.